After all, sight is the strongest developed sense one in most human beings. It’s only natural that 90% of an assessment for trying out a product is made by color alone. 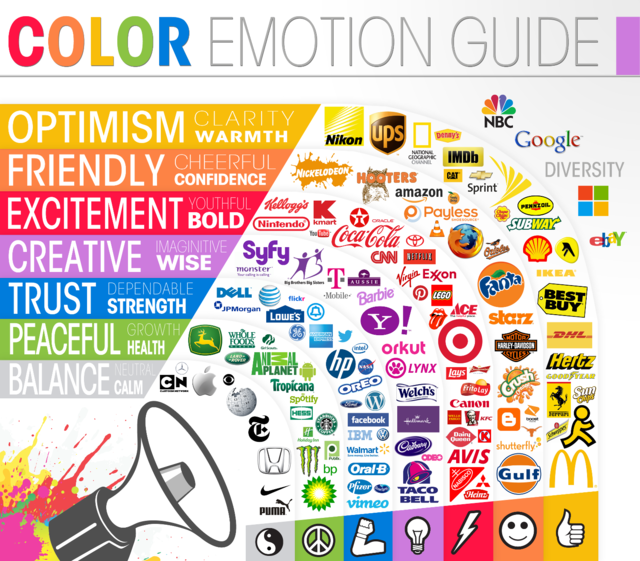 So how do colors really affect us, and what is the science of colors in marketing, really? It’s fascinating that tweaking something as small as the color can completely change an outcome. Try here, how good you are in identifying Corporate Shades? Consumers have changed and so has Marketing. The pace of change is accelerating, putting more pressure on organizations to embrace this new Digital Reality and transform the way they market. Nokia has been at the forefront of this change by leveraging Digital Media and new ways of Marketing to engage Consumers in meaningful ways. Transforming Nokia’s Marketing Organization successfully, requires a comprehensive program utilizing all relevant levers to drive this change. This presentation will give you insights around the latest (digital) marketing trends and the successful approach Nokia has taken to adopt to this new Digital Reality. “After surveying 250 marketing executives and over 2,000 consumers, it’s clear that what marketers consider to be high-value engagement is not always thought of in the same way by consumers. Across organizations worldwide, marketing momentum and budget is shifting to digital channels — particularly mobile and social media — making testing and optimization essential components of any successful online marketing initiative. My Speaking Engagement at ad:tech, London. The Innovation & Transformation Team in Nokia’s Global Marketing Group is identifying, nurturing and expanding key capabilities and areas of expertise across the marketing organization. In addition, turn-key innovations are identified and converted into best practices. My role is focusing on the areas Digital, Social and CRM and leverage my extensive experience of Digital Transformation work from my time in Microsoft and Nokia Southeast Asia & Pacific to further extent Nokia’s global Digital Marketing leadership. This short presentation was part of my moderation of the ad:tech London panel ‘Digital Is The Bigger Picture: When Will Brands Catch Up?’ with Emma Durant (Global Marketing Strategist, Lionbridge) & Jonathan Allan (Sales Director, Channel 4) on 19.09.2012.